What are the Benefits & Difficulties of Open Adoption? Why are adoption agencies suggesting or requiring open adoptions? 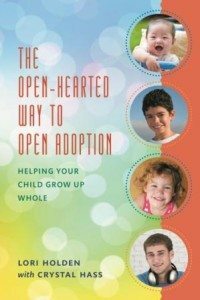 What are the pluses and minuses of open adoptions? What might be the long-term effects of living in one? Rachel Garlinghouse, author of the new children’s book Black Girls Can, recently interviewed me on Adoption.net in anticipation of National Adoption Awareness Month. She asked some great questions and here I share Part 1 of our interview with you (part 2 is at MileHighMamas ). Rachel: Open adoption has become an increasingly popular choice among adoptive and birth parents, as well as an option that more agencies seem to be suggesting, even requiring. Why is this? Lori: Because any social construct steeped in shame and secrecy is neither healthy nor sustainable. Hiding something takes a lot of energy, and in some cases, can cause lie upon lie upon lie to cover up. Take birth certificates that are not actually records of birth, for example. Wait. That’s MY reason, not necessarily the reason agencies are giving. I think many agencies (with innovative exceptions) are following — not leading — the parade. The leaders of the openness movement tended to be groups of people for whom secrecy and shame didn’t work — like birth parents and adoptees from the Baby Scoop Era. Organizations such as Concerned United Birthparents (and others) influenced innovators such as social worker Jim Gritter (and others) to help move toward adoption reform, which means moving from closedness to openness. The Internet has enabled such groups to join voices together to effect change, to create better ways of handling adoptions that value truth, openness, and integration. For adoptees: Openness allows for more opportunity to integrate that which was separated at the time of placement: one’s biology and one’s biography. For birth parents: First parents get the chance to integrate something that did actually happen into the fabric of their lives, rather than attempting to shut the door on a Really Big Event and pretend it never occurred. They can also know and witness how things are going with their child rather than just wonder. For adoptive parents: We get a stretching. We get to deal with our own stuff — our insecurities and fears — to make sure our stuff doesn’t become our child’s stuff. We get to help our children become who they are and encourage them to incorporate all their pieces. We get to connect with others who love our child in the same way we do, who share in joys and challenges alongside us. We get contact with the people who can fill in the gaps on the occasions when we are mystified. We get access to the living history of our child’s tribe. We get to watch our children get filled up in a way we may not be able to provide. We get to model for our children how to navigate relationships and comport ourselves respectfully. What are some of the potential downfalls of open adoption for triad members? Well, relationships are hard! What makes adoption relationships difficult is that we tend to come from an either/or mindset: either YOU are the parents or THEY are. 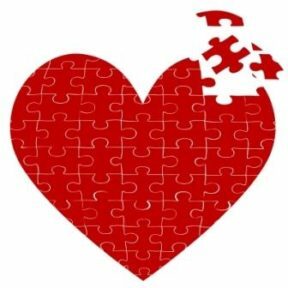 If we stay in this Either/Or mindset, we run the risk of “splitting the baby.” We must evolve toward a Both/And heartset (the how of this is in our book). It can be hard for adoptive and birth parents to communicate, to set boundaries, to be mindful and deliberate in the words and actions they exchange with each other. There can be huge power imbalances. Prior to relinquishment, the birth parents have all the power and the adopting parents feel the fear of powerlessness. After finalization, the adoptive parents have all the power and the birth parents may be left with their sense of powerlessness. Power imbalances make relationships tricky, so it’s in the best interest of adoptive parents to make birth parents feel empowered and partnered in the loving of the child (and no, this is not co-parenting). 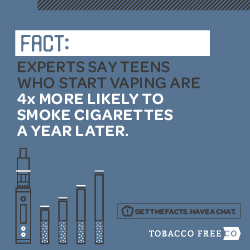 The child/teen/adult, can also experience some downsides. At the same time he is learning to navigate school friendships, he is also dealing with the complexity of added parental relationships. Add in birth siblings, birth grandparents and other extended birth family members, and that’s a lot for a kid to deal with. The child/teen/adult can see the grass on the other side of the fence — and maybe even see his siblings playing there — but he does not live there. He may be affected by saying good-bye over and over to birth family members. 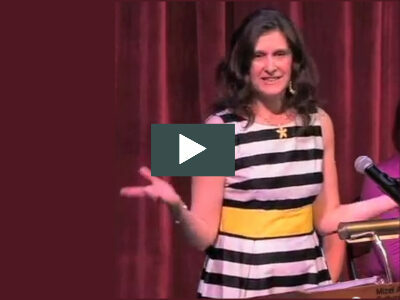 Openness can be challenging for the child/teen/adult at the center. 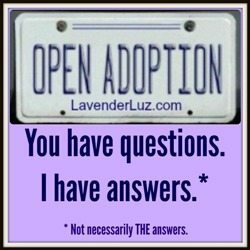 It is not a cure-all, but openness in adoption is better than its closed, shame-based alternative. What do you think the long-term effects of open adoption may be for adoptees, adoptive parents, and biological parents? My expectation and hope is that with openness (meaning not just contact, but the way we open ourselves up to each other), all parties will stretch and grow and know and connect and eventually become whole and aware and loving and loved. I would call that a life well lived. Click over to Part 2 of this interview on MileHighMamas, where Rachel and I address open adoption agreements, what adopting parents need to consider, when do adoptees take over their open adoptions, and how social media is changing open adoptions. Thanks, Rachel, for inviting me to talk about open adoption with you. Rachel Garlinghouse blogs at White Sugar, Brown Sugar and is the author Come Rain or Come Shine. She has just released her new book, written with her daughters, titled Black Girls Can. This interview originally appeared on Adoption.net. In the early 1990s, when I was a lonely yuppie, yearning to meet the man who would make my heart sing and to start a family with him, I read a book by Dan Millman called The Life You Were Born to Live: A Guide to Finding Your Life Purpose. I knew that my life was off-track somehow, so career-oriented, and I didn’t know how to open myself up to finding someone worthy of me (and how to be fully worthy of such a man). Finding someone NOT worthy of me was not a problem; but finding that soul mate, which was a prerequisite to everything else I longed for seemed permanently elusive. Foo-foo though it may sound, this book uses numerology to reveal one’s life purpose. You take numbers from your birth date and, using Dan’s recipe, boil them all down to a single digit. I discovered that my number was 4, which meant that my issue to work out for the persona I have in this lifetime was to find the perfection in imperfection. That resonated for me, an eldest child, the daughter of a perfectionist, someone prone to seeing what’s wrong before she sees what’s right. While I’ve come a long way since that little diagnosis, I am still working on the issue of finding the perfection of imperfection. Imagine my delight-slash-horror at being invited to be in front of the camera for some boudoir photography. Writers for Mile High Mamas had been invited by the amazing Iman Woods for a portrait session. Iman is renowned for her vintage, pinup, boudoir, fantasy and even family photography and art. I knew from perusing her website that she had all these genres going on, but I fixated on the “boudoir” part. In my mind, I was going to be in my lacy skivvies not only for the camera, but also in front of my fellow Mamas. Yikes! Preparation for the event felt a little like a walk to the gallows. Naked. As I got ready that morning, all my body’s imperfections popped out at me. There were spider veins. There was a bruise from falling out of bakasana at yoga the other day. There were scars from minor surgeries, other skin flaws I get for the privilege of living several decades, hairs that don’t belong there, and flesh movement that reminded me of Bill Cosby commercials. The thought of being so exposed and vulnerable in front of my Mama friends made me feel faint. I seriously considered cancelling and making up a reason to not go, I was that distraught. Our culture does not encourage us to see the perfection of imperfection; our culture counsels us to hide our imperfections. Botox this, plasticize that. Cover up this blemish; whiten those teeth, touch up these grays. Spray on a tan, pluck those eyebrows, plump those lips. Lose some weight (because of the way you look rather than the way you feel), hide those zits and/or wrinkles or at least have the decency to feel bad about them. Finding perfection in all our natural glory is HARD. I breathed through the urge to cancel and got myself out the door with the items I thought I might need: a selection of outfits, pearls, makeup, hair pins, shoes and undergarments that worked with each outfit. I arrived early at the studio, the magically-transformed basement level of Iman’s home. 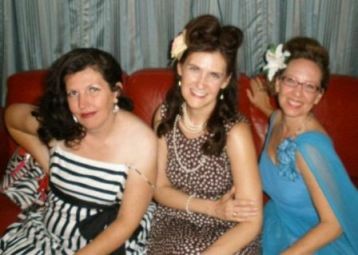 I soon found out two things: (1) our focus would be on vintage, not boudoir style (whew! ), and (2) Iman’s special talent, indeed her entire outlook, is to enable her subjects to see and FEEL their own perfection. 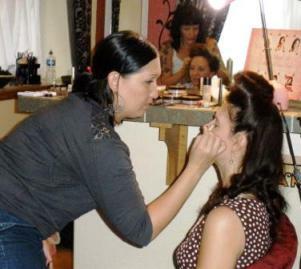 She has declared her studio a No Dissing Zone, and she, the hairstylist Dawn, and the makeup artist Sarah focused on making us know our beauty from the inside out. It was a delightful afternoon with Iman and the Mamas. We unleashed our perfections and even flaunted our imperfections (still, I wasn’t ready to bare the spider veins). I think, when you see Iman’s final product, you can see perfection through and through. 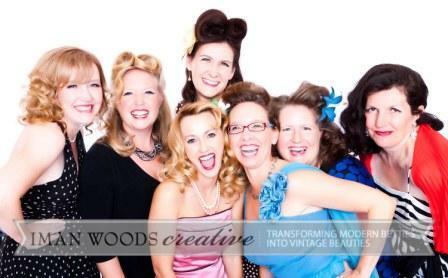 Susan, Amber, Jaime, Lisa, Heather, Gretchen, and, with the high hair, me. More pix and a slide show on MileHighMamas.com. Have you signed up yet for the book tour for Found: a Memoir by Jennifer Lauck? There are just a handful of spaces left. Recently my son opened up to me asking questions about his birth mom and I responded as best I could. The first two posts in this series simply recounted the conversations. In this third and last post, I offer commentary about the dialog between my son and me and about the comments the posts generated. 1. Know what it was; know what it wasn’t.